The Luna bathroom furniture composition B has a 1000mm width wall hung wash basin vanity cabinet with a colour matched 450mm width end cabinet. An integrated 1450mm length glass wash basin top is supplied to suit the vanity cabinets. 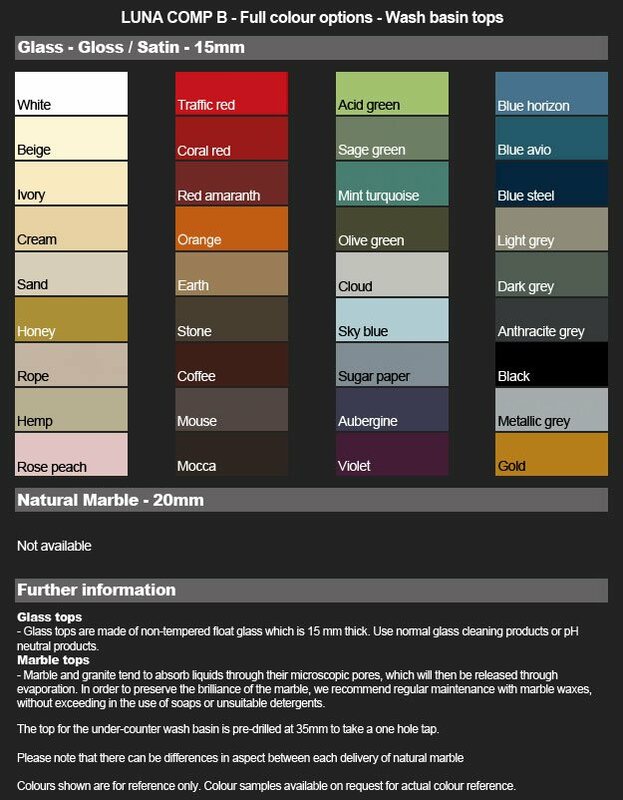 The colour shown on the cabinet is high gloss orange but there are a further 35 colours in either a matt or gloss finish available. 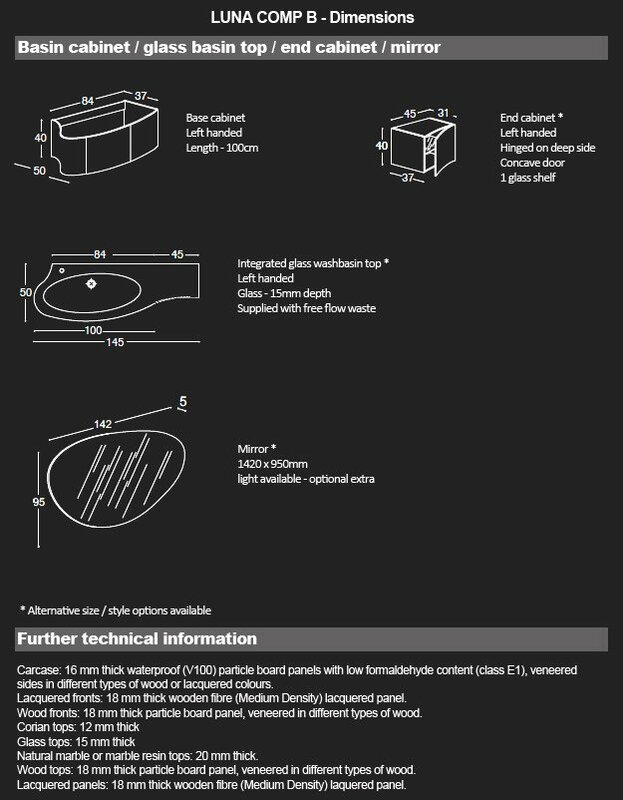 The wall mounted end cabinet is also available with alternative design options on request; please click on the pdf link shown below for full options. A large unusual shaped mirror completes the room set but many more mirror and light combinations are possible. The Luna bathroom furniture shown is made to order in Italy ensuring the highest quality manufacture. 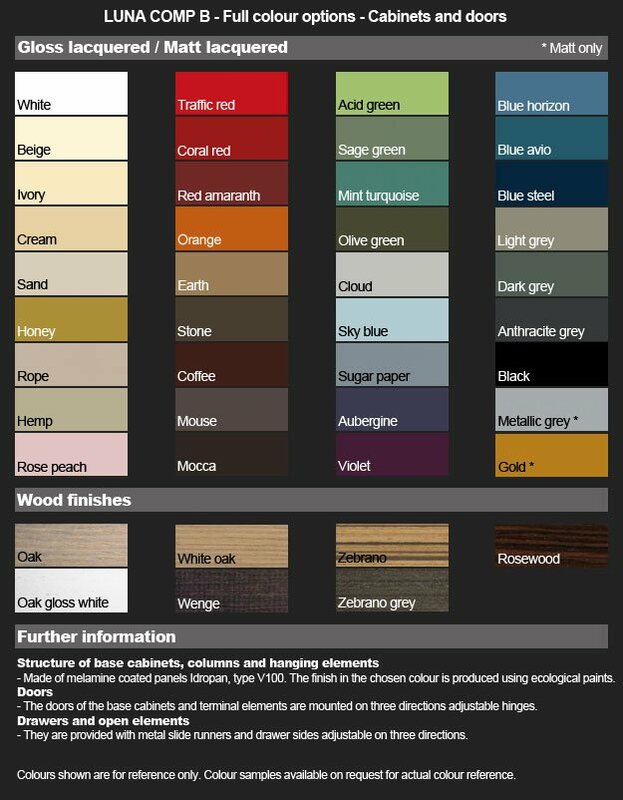 * Furniture available in 36 colours in gloss or matt finishes. * Cabinets and drawers also available in 7 wood finishes. * Basin top available in matching colour glass finish. * Integrated glass wash basin with 1 tap hole. * Further wash basin cabinet designs and sizes are available.